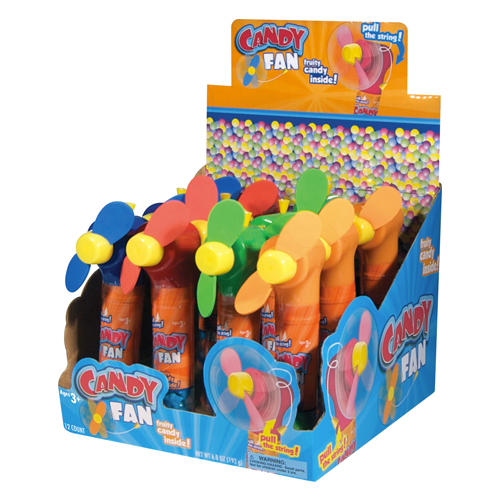 Candy Fans are fun and colorful fans with delicious fruity candy inside. Just pull the string and the fan's foam blades will rotate quickly. A fun candy that makes a great summer treat! 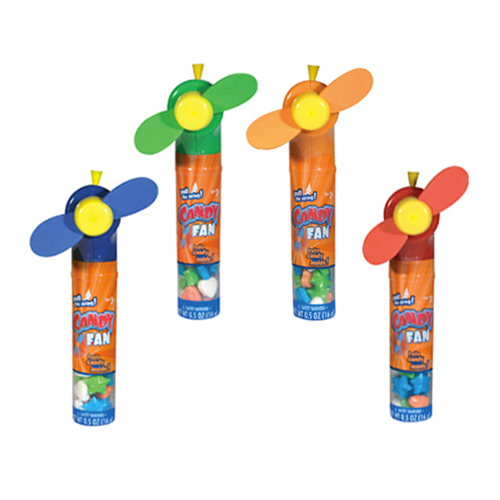 There are 12 candy fans in assorted colors per display box.